25cm MechaGodzilla 74 secret base | Fresh Vinyl HQ! 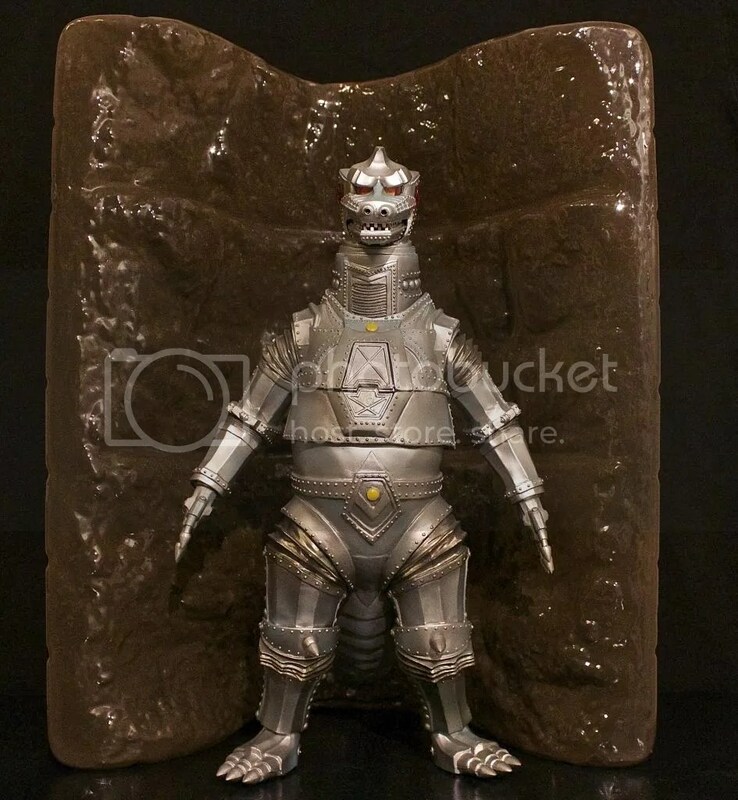 In Septeber 2013, X-Plus released the 25cm figure everyone was waiting for, MechaGodzilla 1974 with the secret underground base!! WOW! Oh man! The base, I don’t know what to say about it. Lets talk about the base right now. A secret base. Really? It is not a secret base anymore because now we know about the base. Not such a secret anymore, nice going X-Plus for blowing Black Hole aliens cover. Nice. The base is probably the cheapest add on we could have ever asked for. The base has holes in the back of it where the twist ties held MechaGodzilla in. 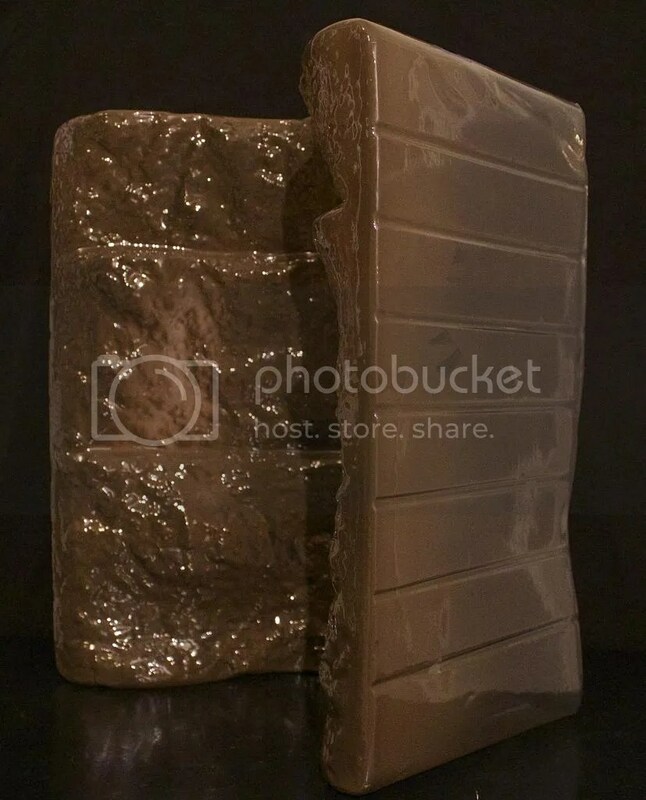 Now if it rains real hard on the surface, water might flood the base, risk the possibility of shorting out MG and then the Black Hole aliens might even drown! What a traumatic experience right? Well, that is the type of experience I had when I laid my eyes on the base. The base has a very glossy looking paint job. It is almost like the sump pump just got down pumping all the water out of the secret, not so secret base. The glossy paint scheme is attributed to the plastic housing that was molded to hold MG in. 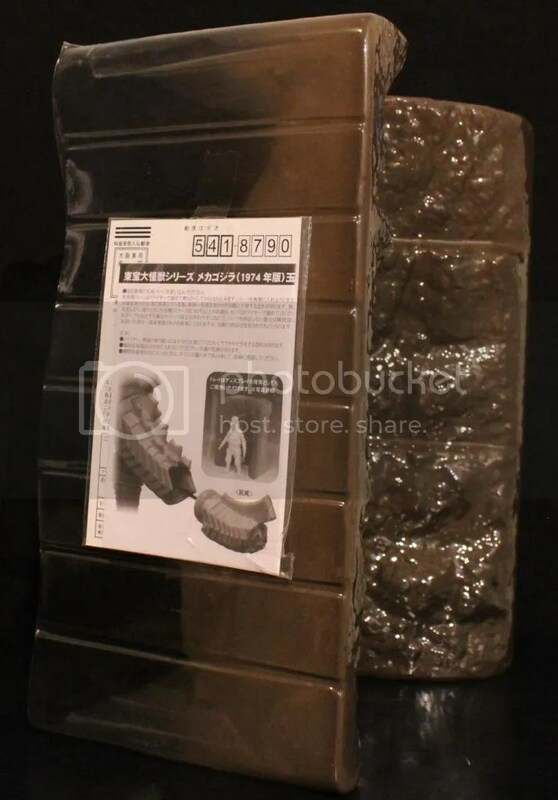 This is the same plastic molding that hold every X-Plus figure it’s box. X-Plus just thought it would be cool to give us an extra. Over a conversation during lunch, the X-Plus VP’s must have been like, “Hey! 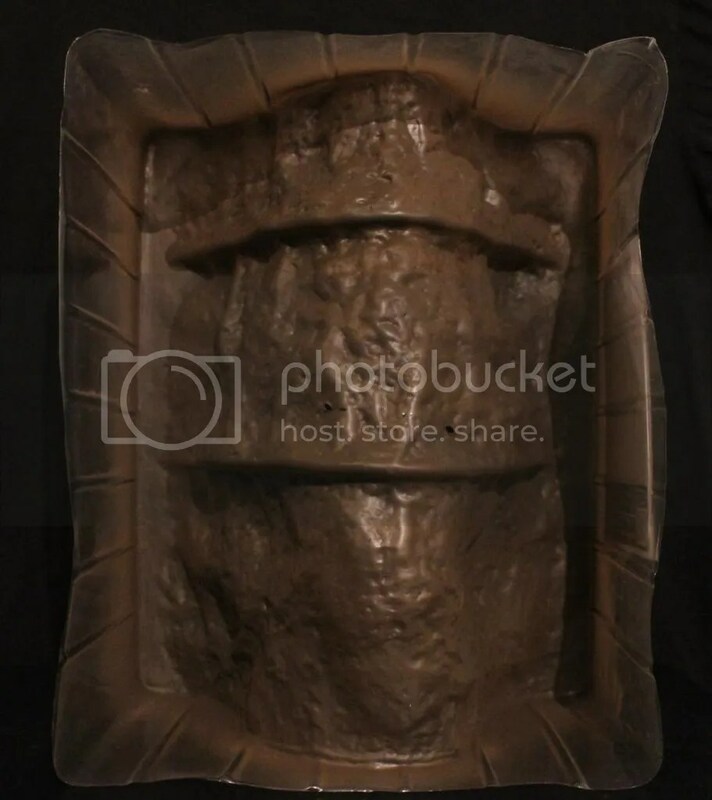 Lets paint the plastic mold and make a secret base! YEA!”. Well, the base is pretty cheap. It looks cheap. It is cheap. The secret base even comes with instructions on the side of it. There is probably directions on how to operate the sump pump, what to do incase of a flood or evacuation plans. I do give the creative team a thumbs up though for thinking out of the box, or in the box should I say. They tried something different and that is what makes successful business, taking risks. The whole secret base sounded like a cool idea when it was first announced but the final product came off very unwarranted. The sculpt is top notch. 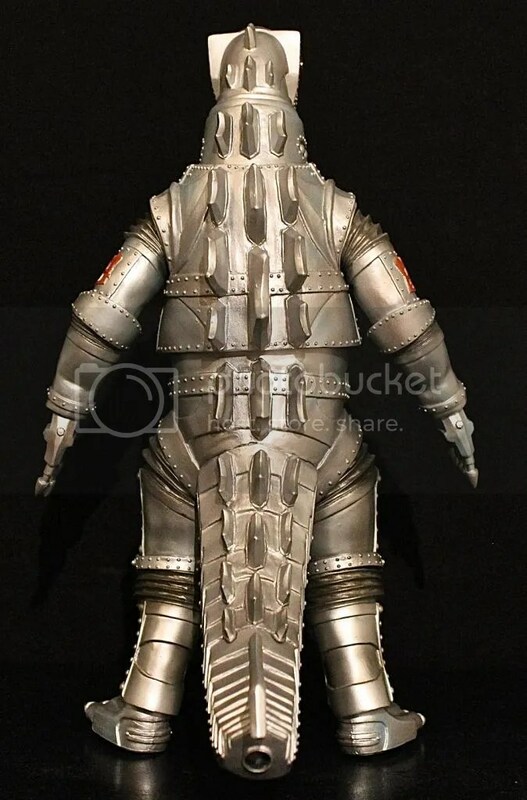 Standing at 10 inches tall, every little detail on MechaGodzilla is pretty fearsome looking. The figure captures the same snarl as did the suit. The eyes are set deep with the big robotic eyebrows frowning down as MechaGodzilla gazes forward ready to tear down King Caesar and Godzilla. 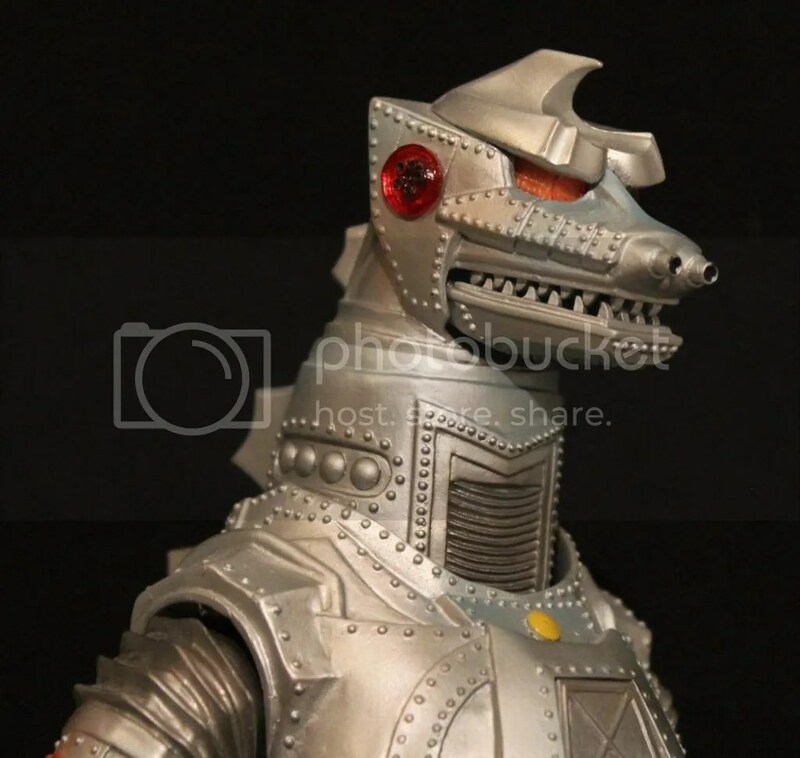 This is the second 25cm MechaGodzilla 1974. X-Plus was thinking something different from the beginning with MG74 which is why the secret base is included. 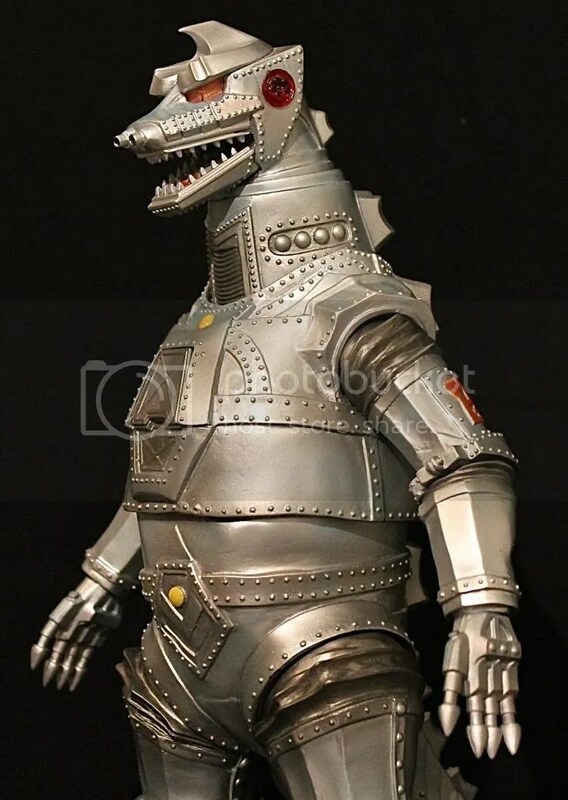 To fit in with this idea, MechaGodzilla is supposed to be posed and stylized as if he was in standby inside the secret base. 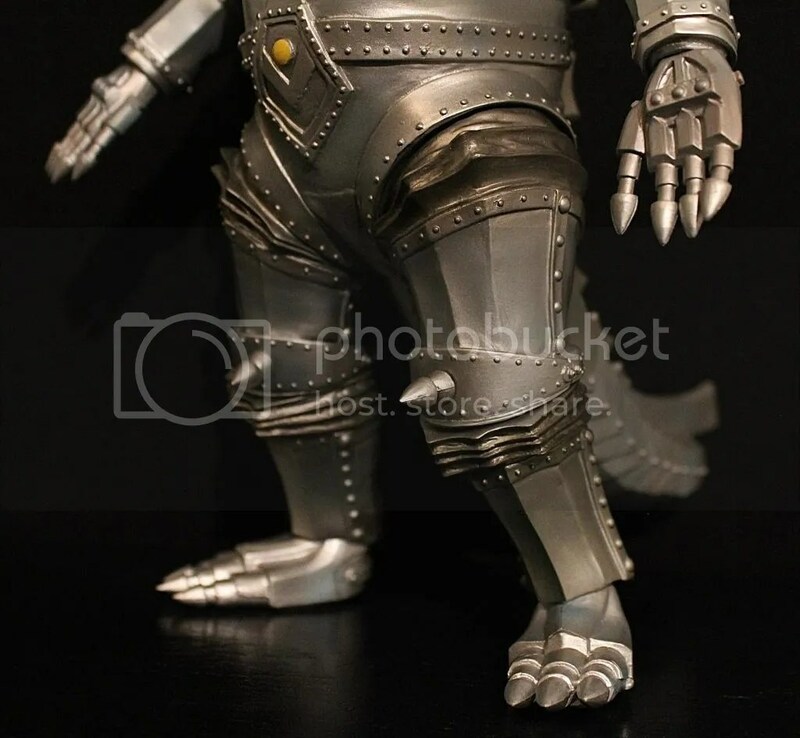 MechaGodzilla’s pose is set with the arms at the side and the legs are positioned in a “knee’s locked” stance. The thighs are also in a locked upright position. 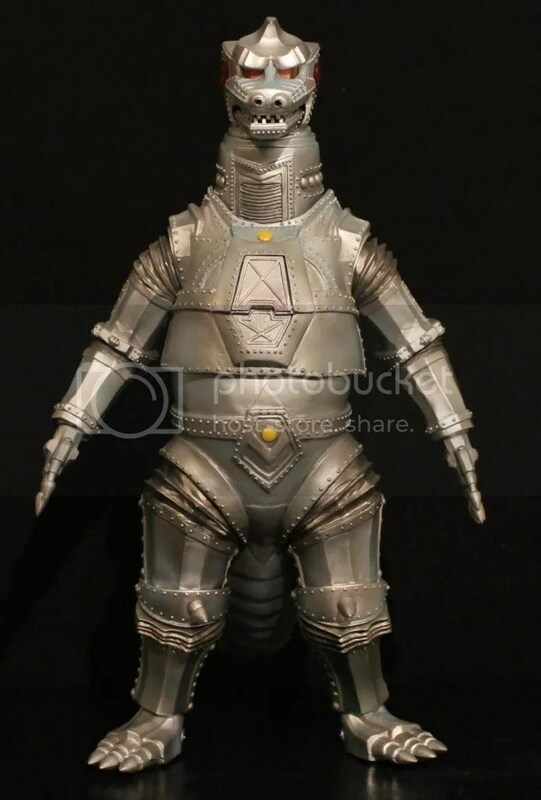 Compare the stance from the original 25cm MechaGodzilla 1974 to this version and you can clearly see the difference in stance from awake and standby mode. 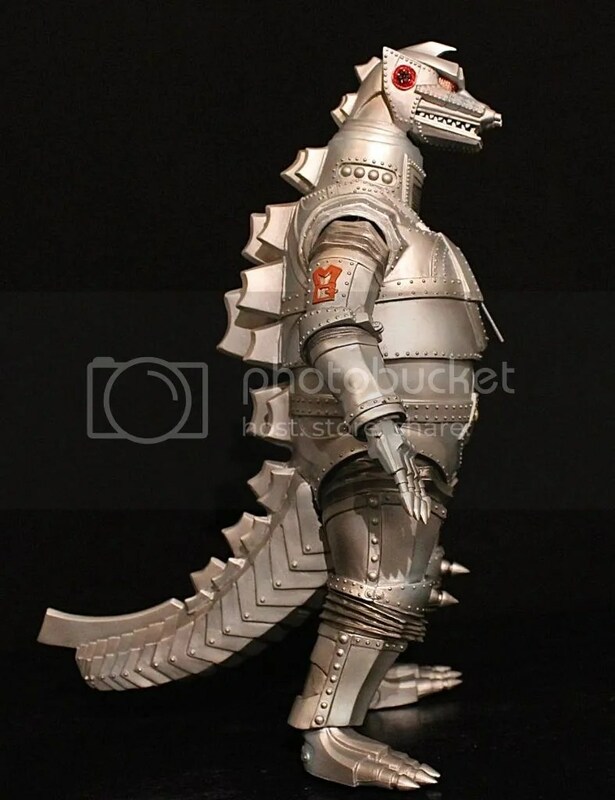 MechaGodzilla is standing tall, at attention if you will. There really is nothing else to the pose other than it does capture a stand by stance from MechaGodzilla. It does look just like the scene from the 1974 film. 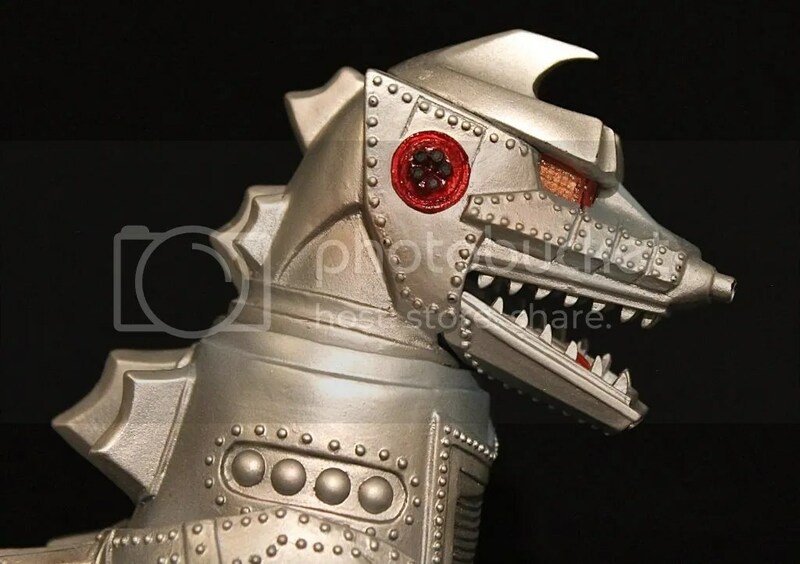 The detail on MechaGodzilla is quite beautiful. 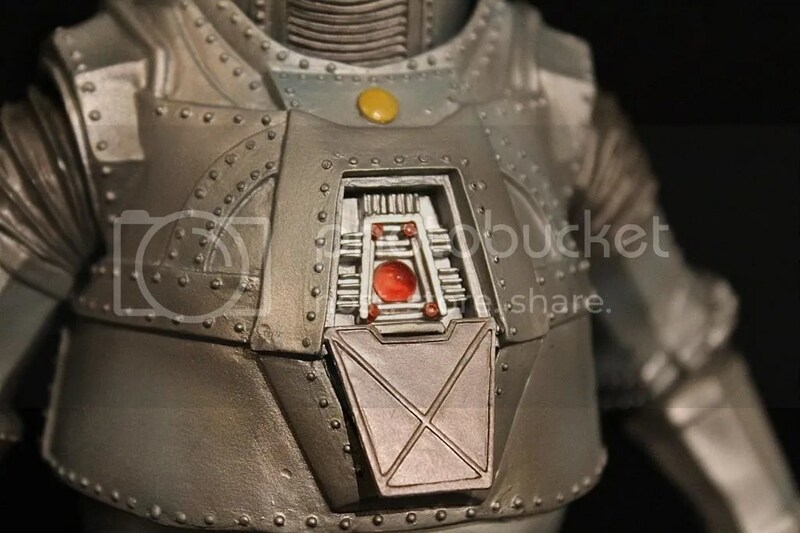 Each and every bolt on MechaGodzilla jumps off the figure. There is a lot of attention to detail on this figure. One thing about Mecha’s in this form is that it is so easy for X-Plus to make these small details stick out so well. The horn on the head, the teeth, the frills on the neck and all the way to eyes and nostrils, everything looks amazing. The paint job is done in metallic silver, which covers pretty much the whole body. The metallic color is absent on the original but it looks great here. One feature about the paint job that I have to point out is the subtle blue highlights that can be seen about the figure. Those small blue highlights help bring some depth to the figure. When a figure is painted one flat color, it leaves the figure rather boring and bland, something I think the original MG’74 is a victim of. 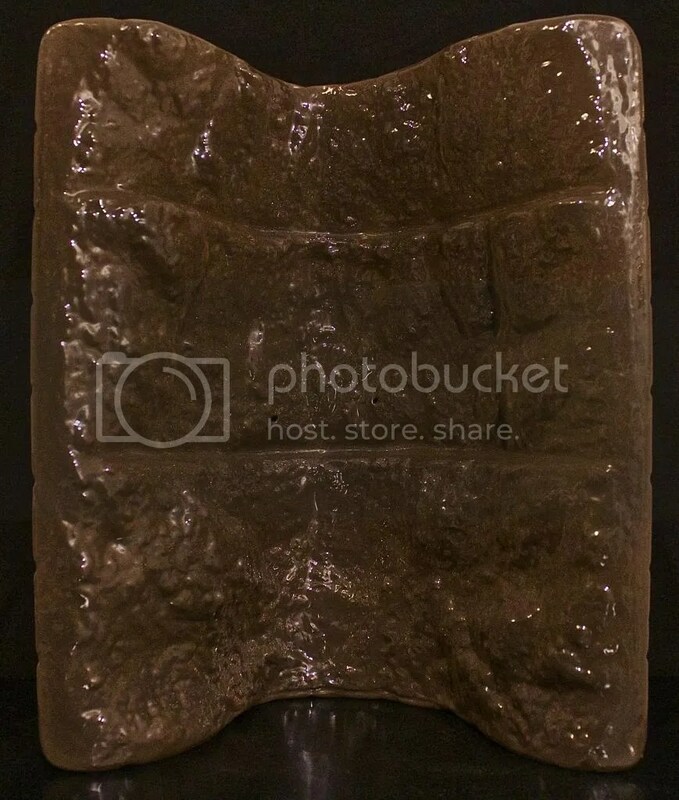 The robotic dorsal plates on the back are also done very well. MechaGodzilla’s dorsal plates are menacing as pretty much every other feature on this figure is. Sharp jagged edges with an evil snarl crossing the whole figure. 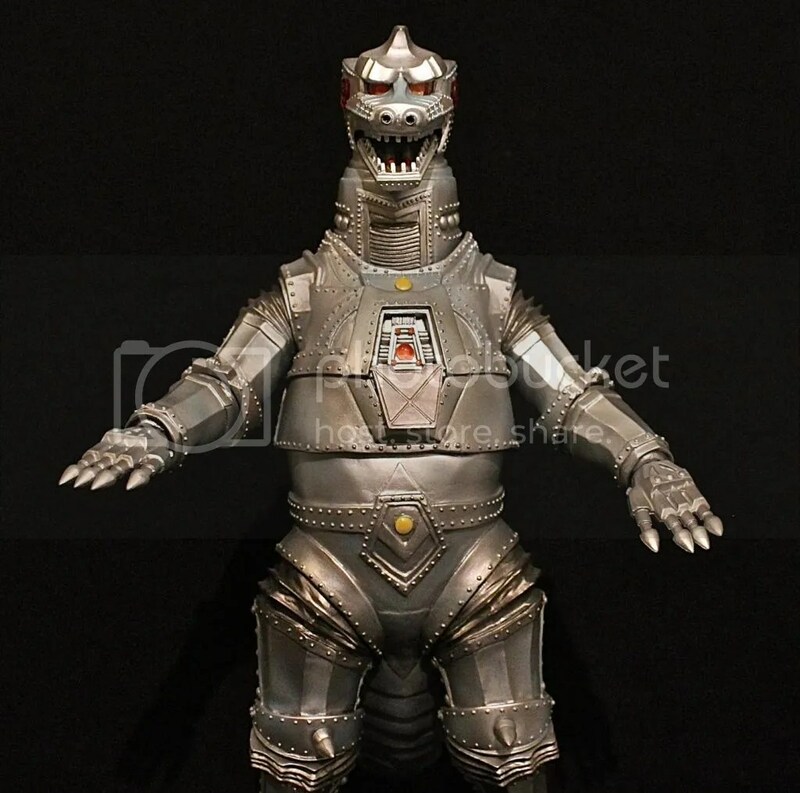 The design of MechaGodzilla ’74 is clearly represented to the fullest of it’s potential. The smallest details are captured so well, you will forget you are looking at an X-Plus figure and mistake it for a movie prop. Even the chest plate drops down revealing his laze beam attack weapon. The RIC Boy version of this figure features a light up gimmick for the laser beam weapon as well as the eyes. You are looking at the standard version here. 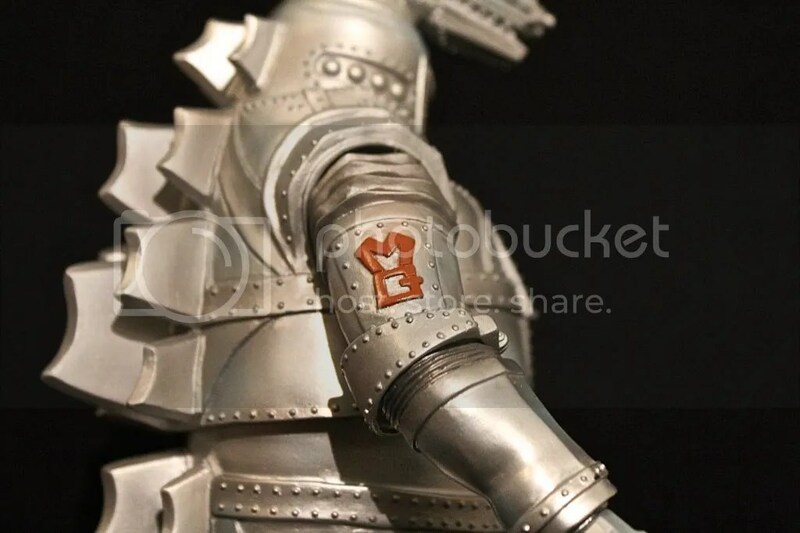 Mecha’s also hide joints and seams easier than Kaiju do, as you will see while you gaze over the pictures. All of the joints and seams are hidden very well. Mecha’s are a fine example of hiding these distractions. If you are looking at a joint or seam on this figure, you can simply tell that it looks like it belongs there rather than some of the Kaiju that show joints and seams, you know when you see them, they don’t belong there. This figure is not as FRESH as we would like it to be. Not every release is a grand slam. In my opinion, if the pose was different, this figure would be amazing because the detail and paint job are superb. This being the third Showa MechaGodzilla in the 25cm line up, I cannot complain to much because the other two releases of the Showa MechaGodzilla are awesome, no, they are FRESH! We need pictures of the light up version. I will have those pictures uploaded this afternoon!